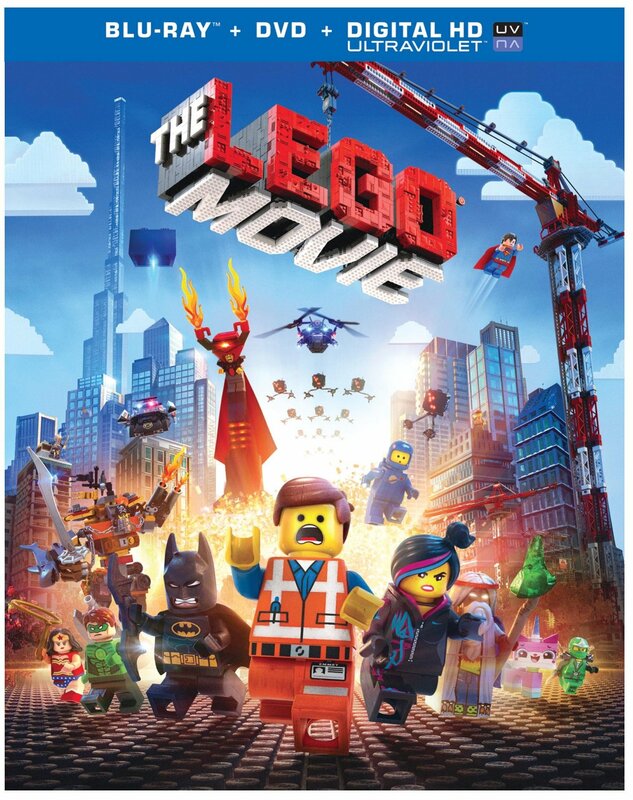 Directed by Phil Lord and Christopher Miller this was a 2014 movie based on the ever-popular Lego brick and took in several of their themes in doing so. It shows a universe of interconnected worlds where “master Builders” allow their imaginations to run wild. Into this walks the villain Lord Business (Will Ferrell) who despises the chaos. 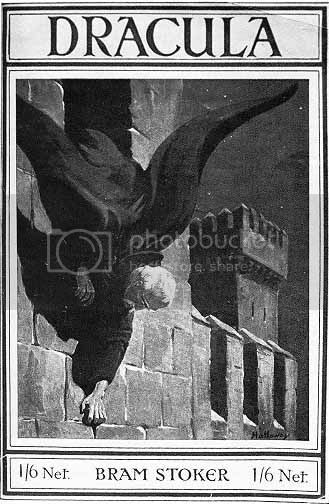 To end it he steals the artefact the “Kragle” from Master Builder Vitruvius (Morgan Freeman, the Electric Company). Kragle being Krazy Glue with which he will put the worlds into stasis. Blinded Vitruvius offers a prophecy of the “special”, a master builder who will come, find the piece of resistance and put an end to the mad scheme. 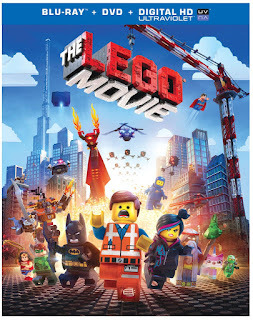 This leads to a merry chase around the worlds, including a rescue by Batman (Will Arnett) – who is Wyldstyle’s boyfriend. Emmet’s way of thinking (or not, given the blankness of his mind) is the thing that makes him special, the film carrying a message of everyone is special in their own way, and as such anyone might save the day… All well and good you say, but where are the vampires? 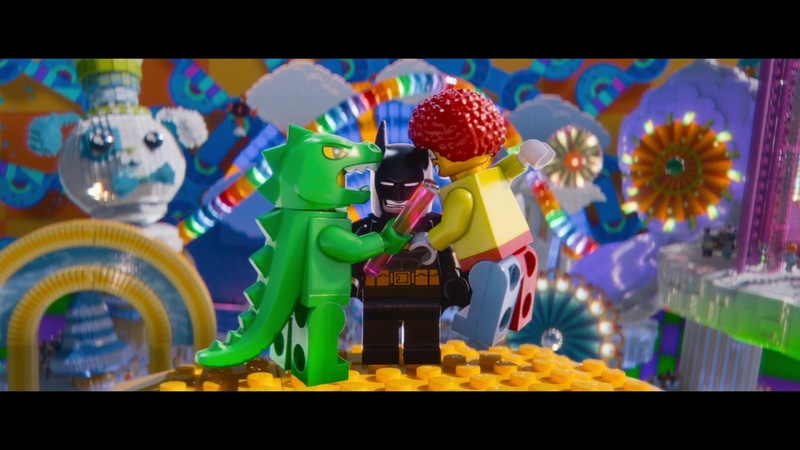 What we have is a fleeting visitation when Emmet, Batman, Wyldstyle and Vitruvius go to the Cloud Cuckoo Land to meet the other Master Builders. 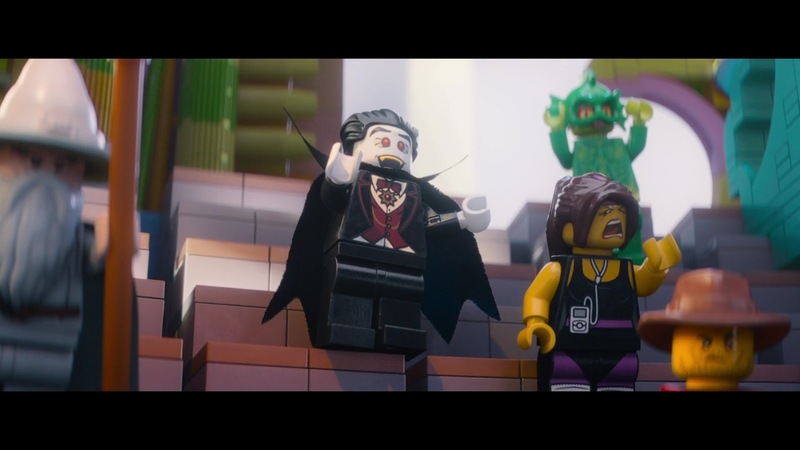 We see, repeatedly, a vampire mini-figure (and bats) and, at one point, we see him turn into a bat (whilst sat near the Creature from the Black Lagoon). 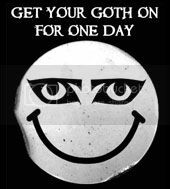 He is referred to directly as Friendly Vampire and his presence in the film leads to the film’s appearance here. Like the Lego video games this is aimed towards kids with enough of a sense of humour that it can then appeal to adults (and tweak the inner child who played with Lego, even if we don’t play with/collect it anymore).